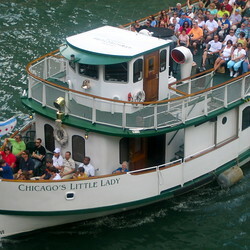 Chicago, Illinois travel information. 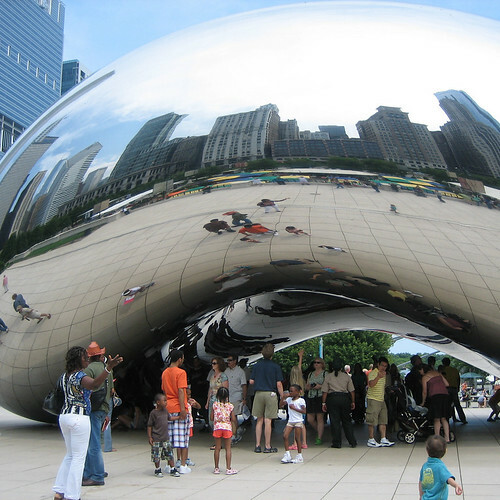 Guide to Chicago travel destinations, planning, and vacations. Photographs, videos, podcasts and articles about Chicago. It was fun to record the latest Chicago episode. We had done a show like this one way back in episode 53 wth Mark Peacock from the Travel Commons Podcast (Marks is still podcasting too). My business cards say that Amateur Traveler “covers everything from knowing what to put on your Chicago dog when you go to the Windy City to swimming with whales in Tonga”. Chicago is literally a part of the definition of what the show is about. I have actually been to Chicago. I didn’t get to Chicago as a tourist until 2009 when I visited with my wife for the first TBEX (Travel Blog Exchange Conference). We went up in the Willis Tower, ate a Chicago dog, took selfies at the bean, went to Wrigley for a cubs game, etc. We had a great time. Chicago was the first place I met up with listeners of the show. We did the first Amateur Traveler meetup when I was there for TBEX. It was just 6 people but some had driven for 3 hours which floors me to this day. At least two of that group also joined me in Egypt for the first Amateur Traveler trip in 2010.